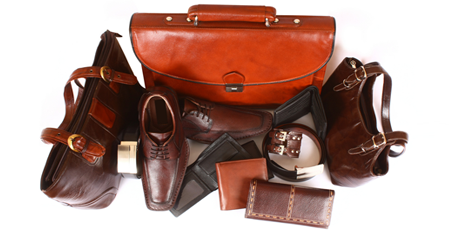 Leather products are very costly and luxurious and therefore, they should be handled and stored in care. The products from this material can last for a lifetime if only they are stored and maintained in the right way. You need to treat leather items with care same way you would take care of your vehicle. When leather goods are stored appropriately, you will be amazed by how they look even after staying with them for a long time from the day you bought them. When storing leather products such as shoes, you will definitely need to use an acid-free stuffing paper to retain their shape. Nevertheless, using an acid paper will attack the material and cause damage to it. Only use acid-free stuffing paper whenever you need to stuff your products. When storing clothes, you need to hang instead of folding them to prevent creases. Continued creases stress the leather making it crack. Also, it is advisable to use wooden hangers over plastic ones when hanging clothes. This is because plastic hangers are susceptible to a plastic deformation called creep, and this causes the material to be destroyed due to the heavy weight of the cloth. Also, you need to apply substantial amounts of moisturizer or conditions onto the products from this material prior to storage. These conditioners usually contain substances such as beeswax, lanolin, and coconut oil. These substances ensure your products are appropriately hydrated and protected against dirt and moisture. Keep your items in a well-aerated container. Avoid using an airtight container as this may cause moisture to build up which may in return damage your products. A well-ventilated container allows for free movement of fresh air ensuring the products keep fresh with no bad smell at all. Have a dehumidifier near the place where you store the leathers. This is because moisture is needed to protect the leathers but it has to be on average. Too much moisture is not encouraged for it is known to ruin the materials. On this, it is essential to protect the product from too much or direct sunlight. The dehydration from too much sunlight will leave it cracked, and this is not good if you want to preserve it for long. The sunlight might also bleach it to a color that is not attractive at all. A good place to store them should be cool and dark. A situation may arise where a drink or any chemical spills on your goods. This can cause serious damage. Therefore, you need to remove it immediately using a soft spongy cloth. To ensure it is completely removed, consider soaking the cloth in water and wash with a non-detergent soap. Also, refrain from applying hairspray and other beauty products while wearing your goods. Chemicals present in these products are harmful to the material. To get the best of out of these valuable products, consult with a professional. There are many experts out there offering these services. Your area dry cleaner will sometimes offer these services, and this ensures your luxurious items are in safe hands.